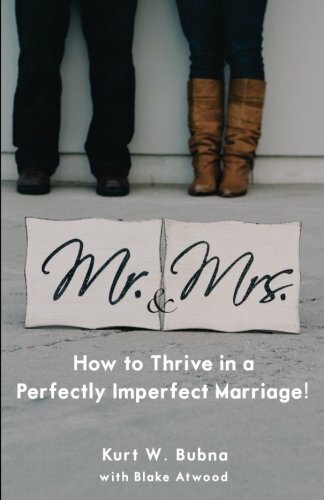 A Marriage Book Worth Reading! Lasting marriages don’t just survive. They thrive. Long-married spouses discover how to not just live with each other, but to love each other in a way that can only be described as godly. They’ve come to understand that the joys of marriage often arrive because of its many challenges, not despite them. Marriage is a perfectly imperfect relationship that’s hard, but worth it. After nearly forty years of marriage, Pastor Kurt Bubna knows that to be true. In three decades of leading churches, he’s also witnessed the hopes, hurts, confusion, and frustration of hundreds of married couples trying to love each other well in a world that urges selfishness over sacrifice. Combining his church members’ stories and his own “recovering idiot” experiences with insightful biblical knowledge, Pastor Kurt shares vital principles and practical advice that can help any marriage, in any stage, thrive for years on end.